- Get current information about exchange rates and use the build-in currency converter. To use all the functionalities of DSK Smart, you must be a user of DSK Direct – DSK Bank’s Internet Banking Service. 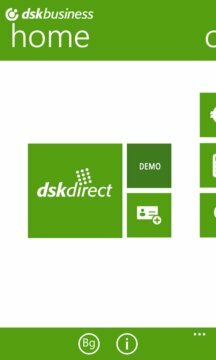 If you are not a DSK Direct user, you can see the demo version of the application via the DEMO button. 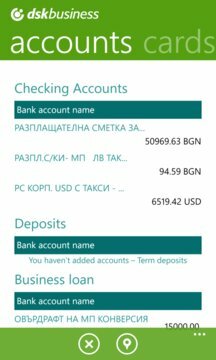 - Saving, virtual card funding and transfers between own accounts.